Odds of New Land Enterprises project getting off the ground in the next twelve months are slim to none. Probably worse with the recent announcement that New Land satisfied a potential foreclosure by surrendering their Transera/Goll Mansion property. Commonwealth Development Corporation received $1,313,568 in WHEDA tax credits to help finance the proposed 45-unit Brewer’s Hill Lofts on the corner of N. Holton Street and E. Brown Street. No other public details have emerged on this project yet. Perhaps the most active of any proposed project in the Milwaukee-area. After a number of revisions by Korb Tredo Architects and Mercy Housing Lakefront, this $8.5 million, 5-story, 54 unit project finally appears ready to seek full Common Council approval. The speed at which this $39 million second phase leaves the drawing board and breaks ground appears largely in the hands of the city at this point. Despite the eagerness the city had to finance The Moderne and the Bookends North proposals, the city to-date has not yet pushed through any type of financing the second building at The North End. The project would include two six-story buildings at 1551 N. Water Street. The Mandel Group had hoped to break ground in the spring of 2011. This project seems unlikely to move forward in the next twelve months, and may be dead all together. CommonBond Communities had agreed to buy a portion of the Park East block (bordered by Milwaukee, Jefferson, Lyon and Ogden) that RSC & Associates bought from Milwaukee County. CommonBond’s proposal was for 87 apartments, 61 underground parking spaces, and street-level retail (11,000 square-feet, owned by RSC). CommonBond was placed “on hold” by WHEDA for the $1,672,644 in federal affordable housing tax credits for which they applied. Prior to the CommonBond deal, RSC was approved for a $30 million bond issuance by RACM in January. To-date RSC has been unable to develop anything on the land. The Moderne has had more false starts in the past year than the Chicago Bears. Initially, with financing from the city they hoped to break ground in November of 2009. That didn’t happen, so it was on to a planned December 2009 ground-breaking after the city awarded the proposal financing in early November. December didn’t happen, which led to Developer Rick Barrett believing February would see shovels in the ground, but due to a delay at HUD that didn’t happen. Next up was a September or October groundbreaking, which again didn’t happen because of HUD even though they awarded the project final loan guarantee approval in late August. Technically it could still happen in November, but now it looks like The Moderne will finally break ground in December of 2010 with HUD expected to finally close on the deal. 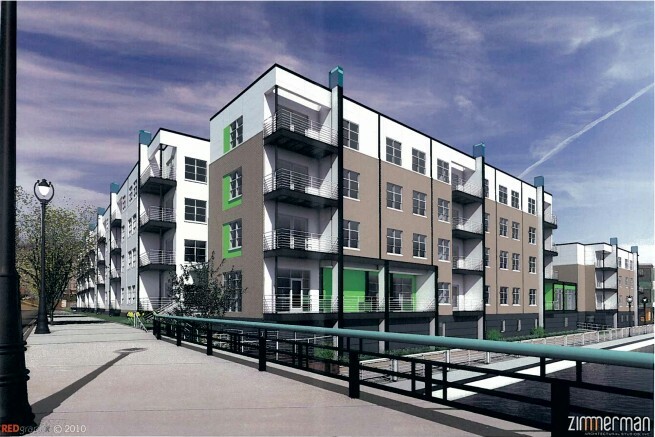 Wangard’s proposal to develop an apartment building next to the HighBridge Condominiums on North Water Street received zoning approval in January of 2010. Wangard, as of August, was seeking a loan guarantee from HUD for the proposed 68-unit building, and had hoped to break ground in October 2010. 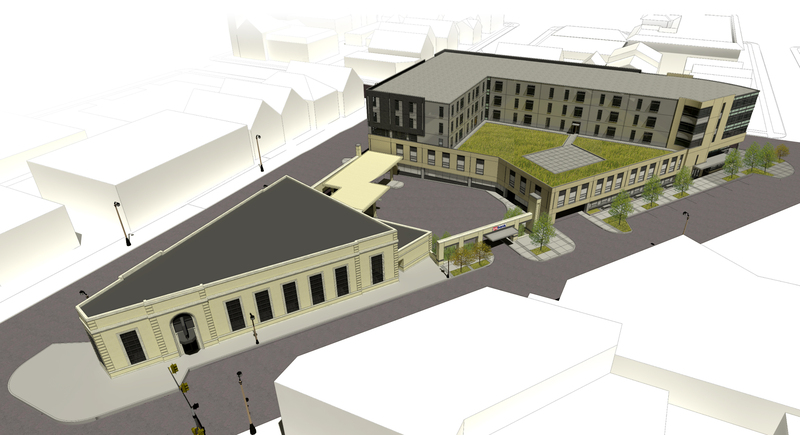 Similar to the The Moderne, this project is still waiting on HUD to move forward. 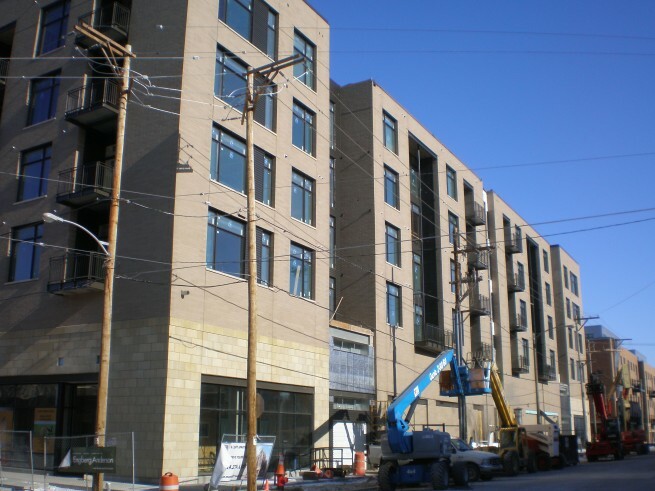 General Capital Group broke ground on the Beerline B Apartments in November of 2010. The project is financed in part by $2,345,310 in WHEDA tax credits. The project includes 140 units, and will occupy the long vacant corner of Commerce Street and Pleasant Street in Milwaukee’s Beerline neighborhood. Nearing the completion of construction in the Third Ward is Robert Joseph’s 81-unit Jackson Square Apartments. When finished the project will feature 100+ underground parking stalls, and 9,000 square feet of retail space. Rents will range from $800 to $1,600 with units split between one and two bedrooms. Dixon Development (Tim Dixon, Iron Horse hotel, Kramer Lofts) has begun demolition of the former Barry Trucking facility on the northeast corner of National Avenue and 1st Street. This development will be the first on the site, and will be placed at the back of the lot. It is being financed through $1.5 million in federal affordable housing tax credits. 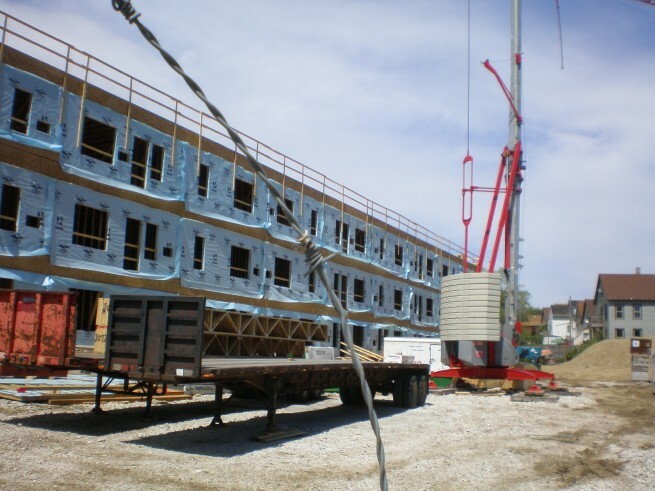 Lighthouse Development is in the process of building an additional 52-unit apartment building at the South Water Works development. Construction is expected to be completed by March of 2011. Average unit size in the new development will be smaller than the neighboring Bridgeview apartments (800 vs 940 square-feet). Mandel completed the Corcoran Lofts in the spring of 2010. 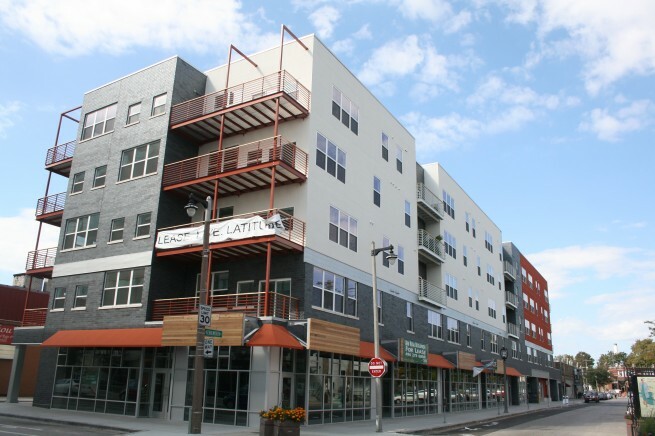 The building is connected to the existing Gaslight Lofts, and includes 76 apartments and 3,400 square feet of retail space. The Hide House Lofts were completed in November of 2010. The Bay View development features sixty units on four floors. General Capital Group and Joseph Property Development built the apartments after a contentious battle with area residents in 2009, which largely centered around the building’s use of WHEDA tax credits to finance part of its construction. The Hide House Lofts replaced the portion of the Greenebaum tannery complex built in the 1940’s, the portion built in 1898 still stands. The Latitude Apartments were completed in August 2010. 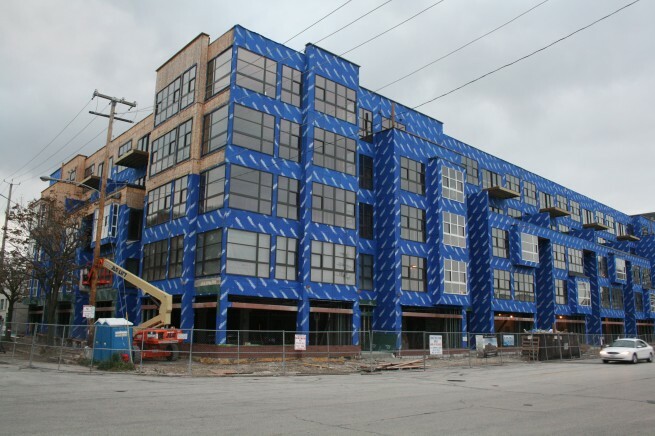 Originally a project of New Land Enterprises, the Latitude Apartments won full zoning approval from the Milwaukee Common Council in December 2008 and was sold to Dermond Property Investments for $2.1 million in January 2009. The project is located at the intersection of Kenilworth Ave. and Farwell Ave. just across from the Kenilworth Square Apartments. The $13 million project features 90 units, and 7,500 square feet of street-level retail. The units are broken down into 71 one-bedroom units and 19 studios. Units range in size from 650 to 1,000 square feet. 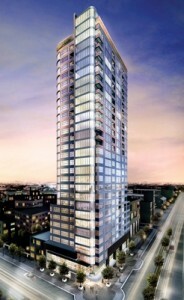 The project includes 90 underground parking spaces, with 13 reserved for retail tenants. Expect more housing at The Brewery. Gorman. @Michael Thanks for the heads up.